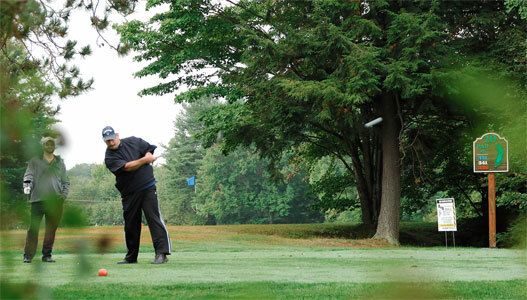 The Greenwood Golf Club located at 14 Wing Greenwood in the beautiful Annapolis Valley. This 18 hole course is a golfers delight with beautiful scenery and challenging holes. A common misunderstanding is that our course isn't open to the public - nothing could be further from truth! Whether you want to sign up as a member, play a Green Fee round with some friends, come out and drive a bucket of balls, or simply come out and have lunch, you're more than welcome to visit us. We think you'll be pleasantly surprised with our great rates and we know you'll enjoy the experience - we're definitely worth the drive!